If it was not bad enough that the Welsh Labour Government were seeking to ban the use of e-cigarettes in public places without evidence of harm to support their case, the latest incarnation of that ban has just added confusion to the case against. As the Western Mail reports, the Welsh Government had originally wanted to ban e-cigarettes from all enclosed public and work places in the Public Health Bill. But health minister Mark Drakeford backed down from the initial plans in the face of opposition pressure and the Health and Social Services Committee has passed amendments tabled by him listing places where the ban will apply. Vaping will only be allowed in pubs that serve drink but do not serve food as well, and where unaccompanied children are banned. Their use will also be restricted in schools, colleges, universities, train stations and on public transport, among other places. The Welsh Government have said that workplaces not open to the public are also no longer captured by the restrictions, but also stressed the changes were proposals and others may be brought forward later. As Welsh Liberal Democrats Leader, Kirsty Williams says, the list is “as clear as mud”. She added: “Just because the minister has made a separation in law of the difference between tobacco and e-cigarettes does not mean that that’s how the public will view it”. And when the fact that many pubs where vaping will be allowed serve pickled eggs, pork scratchings, packets of crisps on the bar etc, the Minister was at pains to say that his amendments do not cover food of that sort. The importance of any law of this kind is that it should be easily understandable and enforceable. Unfortunately, the way this bill is now framed means that it is far from passing that test. And of course there is still no evidence of harm from second-hand vapour to back up the measures. This law is going from bad to worse. In a debate on improving the official House of Lords press office, the founder of the RK Capital Management hedge fund said that better understanding of the work of the upper house could lead to “public support for higher daily allowances”. Suggesting that the allowance compared favourably with the daily rate for a plumber or mechanic, he said that he does not claim it “because I do not need to”. However, some peers do depend on the £300 allowance “to make ends meet” because they “give so much of their time”, Lord Farmer, 71, added. He warned of the damage caused by caricatures of “ermine-clad peers swilling champagne and swanning around your lordships’ house at the taxpayer’s expense”. “That may sell newspapers but it does not give anything of the true facts,” he said. “A highly distorted myth is relentlessly peddled of everyone with their snouts in the trough, greedily pocketing £300 a day for turning up.” Lord Farmer, who is worth £150 million according to the Sunday Times Rich List, said that more should be done by the press office to publicise the work of peers changing laws and debating policy. “If this were made clear to the public, who of course pay garage and plumbers’ bills per hour or per day, they might think the daily fee is in fact rather modest and even inadequate, particularly if they understand that there are many peers whose work here restricts their earning opportunities elsewhere,” he said. He called for a proactive unit that “would, like a think tank, tweet and otherwise publicise” when the Lords overruled the government or altered legislation. There are of course some valid points there, particularly about the commitment of some peers to the work in the House of Lords. But the best way to resolve this, and to help those of Lord Farmer understand better what people really want from the upper house, would be to cut their numbers drastically and have a fully elected second chamber. It is little wonder that David Cameron wants to mute the House of Lords, they are proving very troublesome to him. The latest defeat for him is over the government's attempt to cut the amount people get on the ESA disability benefit. According to the Independent, peers have voted 283 votes to 198 – a majority of 85 for the opposition, which mainly comprised of Labour, Liberal Democrat, and crossbench peers - to reject a sharp planned cut to disability benefits. Ministers had wanted to cut £30 from the £102.15 rate of Employment and Support Allowance given to people deemed likely capable of work in the future. New claimants to so-called “Work Related Activity Group” (WRAG) would get the lower rate. These proposals would cause unnecessary hardship and anxiety to people who have been independently assessed as unfit for work, and the measures are likely to have a disproportionately adverse impact on disabled people. I am pleased that they have been rejected. And whilst I agree that the House of Lords needs reforming, it is because I want it democratised, not neutered so as to suit the political agenda of Tory Ministers. One would think that protecting the weak and the vulnerable would be a major priority for Jeremy Corbyn's Labour Party, however that does not appear to be the case when it really matters, in winnable votes in the House of Lords. Tonight Lib Dems voted to stop the Tories cutting vital support to millions of low income working families. Labour sat on their hands and did nothing. They could have helped stop these cuts to Universal Credit but chose not to. Their failure to provide proper opposition means the Tory Government is getting away with cutting vital services, rigging our democracy, and risking our nation’s future. They are not deserving of the title of Her Majesty’s Official Opposition when they don’t oppose measures like this. The Lib Dems will continue to oppose the ruthless cuts by the Tories, as we did in Coalition. We hope that at some point Labour may also step up to the plate. It is a shame Labour do not practise what they preach. Yesterday the Welsh Assembly's Public Accounts Committee published its report on the Regeneration Investment Fund for Wales and it was damning. The committee said the fact SWLD had sold on a number of the sites at a profit showed they had been undervalued. These included £10.5m for a site in Rhoose, Vale of Glamorgan, which the company bought for £3m, and the sale of another site in Abergele, Conwy county, for £1.9m which it bought for £100,000. The committee said it was incomprehensible the "jewel in the crown" site at Lisvane, Cardiff, was sold for £1.8m when its potential open market value for housing was at least £39m, although around a third of the market value will be paid back to the taxpayer in what is called a clawback arrangement. The report said the sales "did not represent good value for money" and that "such a cavalier approach to the disposal of public assets is disturbing". As if that was not bad enough, today the Wales Audit Office published its report into the purchase of Cardiff Airport by Welsh Labour Ministers. The BBC say that the accountants, KPMG have estimated in 2013, when the purchase took place, the airport was worth between £20 million and £30 million. However, the Welsh Labour Government paid £52 million, roughly double what it was worth. Whichever way we look at it, these two episodes demonstrate a remarkably cavalier attitude to public money by the Welsh Labour Government and calls their competence into question. Are the Tories credible on social justice? There is an interesting article on the Spectator blog by Isabel Hardman, which suggests that David Cameron has decided that social justice will be his key legacy theme as Prime Minister, with his autumn conference speech and most of the announcements so far this year focusing on an ‘all-out assault on poverty’. In addition, Isabel Hardman tells us that a private group of Tory MPs has formed to try to help develop a stronger social justice agenda in their party which might help the Prime Minister, and whoever succeeds him, develop a proper Tory plan for tackling poverty. 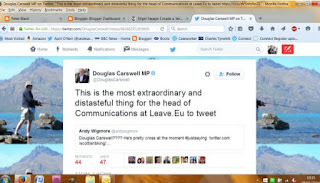 She says that its members describe the group as a ‘compassionate Conservative caucus’, and it includes an interesting bunch of members, including Boris Johnson, Michael Gove, Alistair Burt, David Burrowes, Stephen Crabb, Ruth Davidson, and Nadhim Zahawi. She adds that number 10 officials also attended the group’s first meeting, which took place yesterday afternoon in Parliament, and included a talk from Bill Gates on tackling global health inequalities. This is an intriguing development and illustrates very well, how Labour in-fighting has left the door open for others to occupy ground that has traditionally been their territory. More to the point, what credibility do the Tories have on this issue given their record since they assumed the sole reins of power? Abortive attempts to cut tax credits have now been followed by planned cuts to Universal Credit. The changes mean that anyone applying for Universal Credit from 2017 would be £1000 worse off and those trying to get into work will find it even harder. How does that fit in with a social justice agenda? I have committed many a typographical error on this blog and will no doubt do so at all. However, my errors do not carry the sort of consequences that face immigrants if they cannot master the English language. And indeed the Government has now announced that spouses who came to the UK on a visa to live with their partner will have their English tested after two and a half years. If they fail the test there is “no guarantee” they will not be deported. The Prime Minister has also confirmed that mothers with British citizen children could lose the right to live in the country their children are citizens of if their English is not up to scratch. The Independent says that with British children not necessarily able to live in other countries, families could potentially be broken up by the rule changes. For once this typo has just rubbed salt in the wound. With a Parliamentary vote on Trident looming, Jeremy Corbyn has stepped up his campaign to control Labour's policy levers so that he might line up the party's views on key issues with his own. However, it will not be plain sailing, with opposition to his plans emerging outside the Parliamentary party as well as within. The Guardian reports that the Labour NEC is to examine calls to give it a greater say over policymaking, at the expense of the national policy forum, and to give the committee a decisive say over the recruitment of Labour party staff. “A new NEC staffing committee, to directly recruit members of staff, would make staff recruitment political and divisive, putting our wish to be a great employer at risk,” Bailey wrote. The representative of Young Labour also raised concerns about Lansman’s proposals to bolster the NEC’s role over policymaking. Although ostensibly this is an argument over whether the Labour membership or MPs should have the final say on policy, in fact the stifling of the party's national policy forum would undermine the role of ordinary members as well. A far cry of the Bennite principle of empowering grassroots activists. It seems that the only principle that is being followed here is to adopt the policy-making method that has the best chance of achieving the desired outcome. As a long standing supporter of a tax on sugary drinks, I was pleased to read today that food and drink manufacturers such as Coca-Cola and Kellogg’s are promising to cut the sugar content in their products in advance of a Government decision on levying such a tax. The measures include promises to avoid targeting the under-16s, as well as introducing smaller, healthier products. However it is thought sugar levels in Coke - with its slogan 'It's the real thing' - will remain the same. The moves come just days before David Cameron decides whether to press ahead with plans for a controversial sugar tax to help tackle what health experts have described as a time bomb of childhood obesity. It has been estimated a 20 per cent sugar tax could raise up to a £1bn a year. Kellogg's says it will cut 723 tons of sugar next year from all its cereals, such as Frosties and Coco Pops, by 2016 — although it would not specify any proportions. Levels in Frosties and Coco Pops are about 35 per cent and it is thought they will aim to get them below 20 per cent. The makers of Lucozade and Ribena are aiming to cut sugar by ten per cent by 2018, and 20 per cent by 2025 or sooner. Irn-Bru's maker AG Barr wants to cut its calorie content by five per cent this year alone. Other soft drink giants such as Pepsi and Britvic will also ban TV adverts aimed at children and billboards near schools will also be scrapped. Smaller sizes and new healthier products are also being promised. This is all very promising but is it enough and how can the government persuade companies such as Coca Cola to play along? The paper says that although that company is part of an industry-wide pledge to cut sugar consumption by 20 per cent before 2020 it is reluctant to go much further than the 5% cut in the calories in its drinks in 2014, promising only another five per cent drop over the next nine years. Significantly, they say that the seven teaspoons of sugar currently in Coca Cola’s best selling red 330ml Coke can will stay the same. The Government still need to act and introduce this tax. Monday's edition of The Daily Mirror reports that Nigel Farage has admitted he still wants the health service to be scrapped and replaced with a US-style private insurance-based system. They say that the UKIP leader was caught on video in 2012 telling supporters he would “feel more comfortable” with a privatised health system. As we've seen before, this would prove to be a very bad strategy. When the bombshell video emerged last year, panicking UKIP spin doctors insisted Mr Farage’s views have since changed. But in a new BBC interview to be aired this morning, Mr Farage says ditching the NHS is “a debate we’re going to have to return to”. 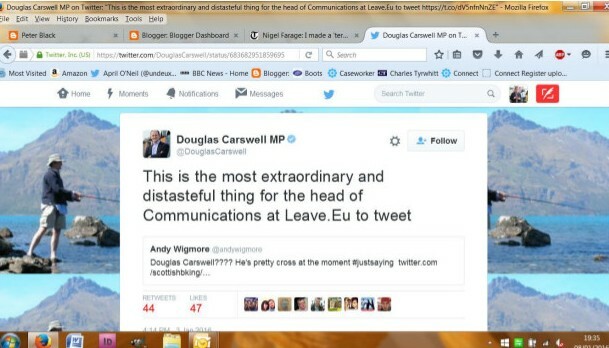 And he makes clear it was only abandoned as official UKIP policy due to pressure from worried pals. Mr Farage said: “I triggered a debate within UKIP that was outright rejected by my colleagues, so I have to accept that. UKIP are meeting this weekend in Wales and may confirm their candidates for the forthcoming Assembly elections at that event. However, that process has run into trouble as well. The BBC report say that a prominent member,Kevin Mahoney has said that he will quit UKIP if ex-Tory MPs Neil Hamilton and Mark Reckless are chosen to stand. He says that he has been endorsed as lead candidate for the South Wales Central region by the party's national executive committee and criticised UKIP for cronyism. He added that former MPs, Mark Reckless, Neil Hamilton and the party's head of media in Wales, Alexandra Phillips, "have no political association with Wales". Whoever they choose, their leader's plan to scrap the NHS in favour of private insurance will not go down well here and may be seen as official UKIP policy. The Electoral Commission has published the national expenditure returns of the various political parties and as usual it is full of surprises. The revelations seems to have upset Labour MPs in particular who are said to be spitting feathers after it emerged that their party spent £600 on chicken suits during last year's election campaign, while their widely mocked “pink bus” cost close to £5,000. The paper says that the Tories spent an eye-watering £237,951 on plush private jets and helicopters to ferry David Cameron and his cabinet around the country in the lap of luxury during last year’s campaign. Whilst the firm belonging to the Conservative’s Aussie campaign manager Lynton Crosby took £2.4 million, nearly 15 per cent of the Tories total budget. They add that Labour spent £223,572 with former Obama adviser David Axelrod’s firm AKPD, while his rival Jim Messina’s firm was paid £369,000 by the Tories. Labour spent another £563,973 on polling from US firm Greenberg Quinlan Rosner. Perhaps the biggest shock was the fact that in the run up to the election debates Labour spent £184,609 on expert coaching for awkward Ed Miliband with top expert Michael Sheehan. What is missing is a receipt for the purchase of the infamous 'Ed Stone'. Apparently, Labour forgot to submit it. We await with bated breath to see what this stunt actually cost. Is freedom of speech more important than political correctness? An academic institution should be a hotbed of ideas and discussion. The freedom to express and debate an opinion or a thesis is central to the process of learning and research. The freedom to offend is central to our democratic process. Clearly there are limits, but they should be defined in the law of the land. What is not acceptable in my view is to ban a speech, presentation, or publication because a person or group of people find it offensive. The appropriate response to is engage with the argument and put across alternative viewpoints. These principles are well-known and have been used by governments and indeed, by those who seek to practise censorship elsewhere, to rebut the actions of undemocratic governments, extreme religious movements and others when they have sought to limit freedom of expression and protest. Unfortunately, you cannot pick and choose when to apply these principles. They are universal and go to the heart of our unwritten constitution and indeed, the written constitutions of other countries such as the USA. That has not stopped a new trend emerging on UK university campuses of groups seeking to restrict the freedoms of others. The Western Mail reports that university student unions in Wales have banned the sale of certain newspapers and magazines from their campuses. They say that Aberystwyth, Cardiff and Swansea University unions are among 32 in the UK who have banned the sale of certain publications, which include The Sun, Daily Star and Daily Express - unpleasant but hardly extreme publications. They add that Cardiff University faced controversy last year after a gig by Dapper Laughs was cancelled due to a campaign orchestrated by students who called him “sexist and inappropriate”. In addition students also tried to cancel a Germaine Greer speech at the university because of her previous comments on the transgender community. "The policy we implemented was a democratic decision voted on by the student body regarding the products they wished us to stock. "The union is against the objectification of any group of people. We note that many magazines which may have fallen under such a ban have since ceased to exist and the marketplace has changed. "We fundamentally believe in the right of students to collectively take a view on the products and services they wish to see in their community and strive to ensure this can continue to be the case. We also believe that stocking them may now not be a commercially viable decision." The students union is of course entitled to take such a view and to seek to convert others to it. Indeed I agree with them on the fundamental issue. However, putting commercial matters to one side, they are not entitled to prevent others engaging with the people or publications they are opposed to. And the fact that there has been a democratic vote does not justify such a fundamental breach of somebody else's' rights. Banning something because you disagree with it is an easy answer, it is very rarely the right one. I have no problem with political correctness, but I do have a problem with it being imposed on others. Such censorshp has no place in a democratic society. Those of us who are strong supporters of the Human Rights Act will be bemused by this article in the Independent, which records that the Government is to double the Foreign Office budget for promoting human rights. They say that Foreign Secretary, Philip Hammond will announce the creation of a new £10.6m annual Magna Carta Fund for Human Rights and Democracy to promote democracy and the rule of law in more than 60 countries. They add that the new fund is expected to target projects in areas with poor human rights records such as Iraq, China and the Gulf. This is a complete U-turn by the UK Government that had previously suggested that that human rights were no longer a “top priority”. The Foreign Office has also been criticised for leaving Saudi Arabia off a list of countries to be targeted for its use of the death penalty. So we now have a situation whereby the UK Government is promoting human rights abroad whilst remaining committed to repealing the Human Rights Act at home. A case of do what they say not what they do perhaps? Jeremy Corbyn's latest idea to build the Trident submarines without the warheads has rightly attracted derision from across the political spectrum. He has managed to get himself into this hole because he is trying to keep the Trade Unions happy by protecting defence jobs whilst at the same time keeping to his unilateralist principles. Instead he just looks silly. The Tabloids have been less kind. All-in-all it looks like we are heading for another free vote for the Labour Parliamentary Party on Trident, in which key figures directly contradict a leadership that is trying to be all things to all men. This is a far cry from the principled campaign that got Jeremy Corbyn elected as Labour leader in the first place. If only he was not so reliant on the Trade Unions for funding. Should Easter be on the same Sunday each year? As a politician, there is nothing more frustrating than the fact that Easter falls on a different weekend each year. It makes planning election activity much more difficult as you have to account for the bank holidays at different points in the campaign every time. To be honest, I have never been sure how the date for Easter Sunday is worked out. I knew it had something to do with the moon but that was it. Many Christian holy days appropriated pagan festivals as a means of ensuring a less troublesome conversion but I am told that in the case of Easter it is linked to the Jewish Passover. In fact, and as the Telegraph relates, Easter falls on the first Sunday following the first full moon after the vernal equinox around March 21. This means it can fall on any Sunday between March 22 and April 25. Clearly the needs of schools and businesses as well as the woes of politicians should be taken into account when deciding the appropriate date for Easter, whatever its provenance. All we need to do now is to get all the Christian churches across the world operating on the same calendar system and we will be away. I suspect that may be more difficult as the Eastern Orthodox Church still use the Julian Calendar to calculate their moveable feast days. Update: As the comment below makes clear Easter is not based on a pagan festival at all but is linked to Passover. As such I have corrected and revised the post above. News that there has been yet another break-away group formed to campaign in favour of Britain's exit from the European Union has an air of inevitability about it. After all, for a number of individuals involved in this campaign the main motivation appears to centre around their own ego rather than any particular principle. The Telegraph reports that the latest break-away group involves up to 30 MPs including David Davis, the former Tory leadership candidate. He will support Go, a new grassroots organisation founded last week by the Tory MPs Tom Pursglove and Peter Bone and the Labour MP Kate Hoey. This is the third group to campaign for Brexit, a collection that includes Vote Leave and Leave.EU. The Times say that some financial backers have told them that they are holding off making donations until the infighting calmed down. As a fan of Monty Python, I am beginning to see a resemblance to the various splinter groups featured in The Life of Brian to free Judea. All we need now is a sketch in which the various groups discuss what Europe has done for us, Douglas Carswell telling a crowd that Nigel Farage is not the Messiah, he is just a very naughty boy, and a chorus of 'Always look on the bright side of life' as Britain votes to stay in Europe. Norman Baker was never your average MP. In fact he was never an average Liberal Democrat MP. It is no surprise therefore to see him embracing life outside the House of Commons by rejuvenating his rock career with his band The Reform Club and going on tour to promote a new album. English” and draws on the spirit of the Kinks, Madness and Blur. It has been picked up by a record label that specialises in rereleasing albums from the likes of Adam Faith, Culture Club and T Rex. “I have played it to some young people, who have said: ‘If you were 23, it would be a massive success, but you aren’t 23’,” he said. The paper reports that Baker has no interest into going back to politics. They say he is now lecturing, giving seminars, presenting on an internet channel as well as on a radio station and has published a book of memoirs. And living out the fantasy of middle-aged men everywhere of fronting a rock band. Well I am impressed anyway. You have to be fair to Labour MPs, they are happy to take the pain they want to inflict on others, in this case, the mansion tax proposed by both my party and theirs. The MP claimed that on one street in the Labour leader’s constituency of Islington North, populated by owner-occupiers in multimillion-pound houses, 40 people had joined the party over a 12-week period. Mann suggested that the new members could help avert a funding crisis that would come if the government’s trade union bill passes. A confidential Labour document released to the Guardian last week revealed that the party faces an expected £6m drop in its annual income as a result of the changes to the political levy being introduced in the bill. Mr. Mann has been an outspoken critic of Jeremy Corbyn in the past. However, for once his thinking seems to chime with the redistributive instincts of the new Labour leader. Liberal Democrat Voice records yet another incident in which Labour has effectively given up its role as an effective opposition. Unfortunately, there has been very little publicity of the decision by Labour peers yesterday to walk away from their manifesto commitment and allow the Government to gets its way in denying the vote to 16 and 17 year olds. Labour failed to turn out in support of John Shipley’s votes at 16 motion despite supporting the issue just weeks ago in the European Referendum Bill. The defeat means that the Cities and Local Government Bill has now completed its passage through Parliament. As a result of this abdication, over a million people will not get a voice in future local elections. It seems that not only are Labour no longer interested in being an opposition but they cannot be relied upon to back their own policies. The Liberal Democrats at least are stepping up to the mark and are continuing to scrutinise, amend and fight all the damaging legislation the Tories bring forward. Christmas is barely over and already the shops are stocking up on Easter Eggs. However, for Cadbury's Easter may already be turning sour as the Telegraph reports that they have suffered multi-million pound losses after sparking storm of protest across Britain by replacing Dairy Milk in recipe with cheaper chocolate. Marketing manager Claire Low told The Grocer: "The fundamentals of Cadbury Creme Egg remain exactly the same. It's simply not the case that Creme Egg has always been made with Cadbury Dairy Milk." But the report says that Creme Egg was not the only casualty. Sales of Cadbury Egg 'n' Spoon, launched in 2012, crashed by £1.2 million as average prices fell by nearly a fifth, partly as a result of fiercer deals and strong growth for own label and the discounters. Ms Low acknowledged that with this Easter the earliest since 2008, recovering lost sales would be a tall order. "We are aware shorter seasons can be challenging," she told the magazine. "To strengthen our positioning, we will continue to invest in power brands, launching new seasonal products and a brand new Easter pack design." All of which causes me to reflect that I am getting old and that they don't make sweets like those that were available to me when I was at school. Could it be that we are finally falling out of love with chocolate? Will change in policy on Trident plunge Labour into more chaos? With the Labour Party still reeling from the in-fighting and arguments caused by Jeremy Corbyn's reshuffle, the last thing they need is another row. And yet the leadership are spoiling for a fight. The Independent reports that three members of Jeremy Corbyn’s Shadow Cabinet have refused to rule out resigning if the party changes its policy on retaining Britain’s nuclear weapon capability. They say that Jeremy Corbyn intends to use a party review of its policy on nuclear weapons to push for a change in position ahead of a vote on renewing Trident that is expected to take place in the House of Commons this year. The Trident supporters, Owen Smith, the shadow Work and Pensions Secretary, Lord Falconer, the shadow Justice Secretary, and Lucy Powell, the shadow Education Secretary, have refused to confirm whether they would remain in their posts if the party’s policy shifted. Owen Smith, who has publicly expressed a clear ambition to succeed Corbyn said remaining after a change of policy would be problematic “That would be difficult for me,” Mr Smith told BBC 5 Live. “I think the key thing that I would do is stick in, in the run-up to that decision, and make the case. “We have got to have, I think, a very adult argument in the Labour Party about this – not in public I hope, not in the way in which we have occasionally argued publicly recently – but it is an enormously serious, technical, strategic question for Britain as to what the nature of our nuclear weapons are and whether we have a nuclear deterrent. "Unlike Labour we don't blame the media for this circus. We place the blame firmly at the feet of the so called Official Opposition. The political lobby, have reported a political story - the implosion of Labour. "There are many, many more stories that would have led all the papers on an average week - from attacking the Tories over being able to campaign for Brexit, to their shamefully muted response over the 47 people killed by the Saudi Arabian government and North Korea, allegedly, letting off a Hydrogen bomb. "Most days these stories would have run and run. Sadly Labour got themselves into a spot where the Culture Spokesman being sacked is more important." The current disarray within Labour has been compared to the infighting in the 1980s but it is worse than that because this time it is being caused by the leadership who, instead of trying to steady the ship are rocking it violently and taking their eye off the ball when it comes to doing their job of scrutinising the Government. Why is Cameron targeting England's 'sink estates'? On first reading the pledge by the UK Conservative Government to put £140m into redeveloping nearly a hundred of the 'UK’s worst sink estates' seems like a laudable plan. And indeed, if Cameron is true to his word and is seeking to occupy the political middle ground through a blitz on poverty then it is worth backing the project. However, the devil is in the detail and my first reaction was that £140m was not enough money to achieve the Government's aims, not unless they are planning to use it to lever in private money by redeveloping what could be prime real estate Westminster Council style. And it is worth recalling at this time the regime of Lady Porter in the 1980s, when social tenants were relocated so that estates in marginal wards could be gentrified or redeveloped allegedly so as to change their political allegiance. The government will inject £140m to rehouse occupants and tear up planning rules to speed up the process. Tenants and homeowners will be given binding guarantees that their right to a home is protected. Cameron said three out of four rioters in 2011 came from sink estates. “The riots of 2011 didn’t emerge from within terraced streets or low-rise apartment buildings. The rioters came overwhelmingly from these post-war estates. That’s not a coincidence,” he wrote. The housing developments being targeted reportedly include the Winstanley estate in Wandsworth, south London. Others could include the Lower Falinge estate in Rochdale, Greater Manchester, and Broadwater Farm in Tottenham, north London. The question that families need to ask is whether the guarantee they will get of a right to a home is on the transformed estate or not? Will the redeveloped estate include housing available at social rents? If not where will families who cannot pay market or intermediate rents be rehoused? And what consultation will take place with these families? Will they be involved in redesigning their own estates? I may be cynical but I have seen these schemes before. These estates desperately need investment and the anti-social elements need to be weeded out, but let's ensure that in doing it we protect the right of the decent majority to stay in the community they grew up in if they wish and not sacrifice them on the altar of big money and political expediency. The year may only be a week old but already we have been regaled with one of the more bizarre political stories to emerge for some time. The Telegraph reports on the aftermath of claims by Nigel Farage that somebody had attempted to assassinate him whilst he was driving through France. The UKIP leader told a reporter that he feared he had been the victim of an assassination attempt after his car was sabotaged, causing a terrifying motorway crash in October 2015. Mr. Farage careered off a French road after a wheel on his Volvo came loose while he was driving from Brussels back to his home in Kent. He alleges that when the police arrived at the scene, they told him that the nuts on all of the wheels had been deliberately unscrewed. He now contends that he was misreported: "My view is whether it was deliberately tampered with or not, what happened, happened and I just want to get on with my life." Dunkirk’s prosecutor denied reports that Mr Farage had asked not to open an investigation: "If they had noticed a sabotage, they would have had to open an investigation". This is reassuring. After all we cannot have UKIP associated with loose wheels or rogue nuts. UKIP may be one of Britain's most eccentric parties but their anti-EU and anti-immigration agenda is dangerous and their eccentricity should not distract us from opposing them and their views. The Telegraph reports that the United Nations have warned that new UK Government snooping laws could result in “mass surveillance” and have a “chilling effect” in freedom of expression. They believe that a lack of appropriate oversight and transparency will “ultimately stifle fundamental freedoms”. The Bill also proposes a new offence to make it illegal for a communications company to notify a customer that a request has been made to it for their data. Some companies, including Twitter, already have such policies in place but staff would face up to two years in jail for doing so if the new offence is approved. But a joint submission from Twitter, Facebook, Google, Microsoft and Yahoo said: “As a general rule, users should be informed when the Government seeks access to account data. It added: “While it may be appropriate to withhold or delay notice in exceptional cases, in those cases the burden should be on the Government to demonstrate that there is an overriding need to protect public safety or preserve the integrity of a criminal investigation." The Government's final proposals will be published in a few months but I would hope they take on board the need for oversight and transparency when formulating them. Is a sugar tax back on the table? Today's Times returns to one of my obsessions, the need to cut the amount of sugar in our diet. I write in this context as somebody who is addicted to the stuff so anything that helps is welcome. In a softening of a previous stance that firmly ruled out any form of sugar tax, government sources now suggest that senior ministers are studying the option closely. They have been struck by mounting evidence that increasing the price of fizzy drinks is an effective way of discouraging unhealthy eating, sources said. Senior figures in Whitehall have been pushing for a tax to be included in a childhood obesity strategy that is due to be published next month. It was disclosed this week that there are more than four million diabetics in Britain, and that two thirds of adults weigh too much. Britain spends £6 billion a year on the medical costs of obesity and a further £10 billion on diabetes. The Times understands that some form of levy on unhealthy drinks is back on the table as evidence of its effectiveness and popularity emerges. A study published today but seen by ministers several weeks ago shows that a 10 per cent tax on sugary drinks in Mexico led to a 12 per cent fall in sales. This is good news. As I have reported previously, from 1990 to 2000 consumption of sugar went up by around a third. A significant quantity of that is sucrose, which is 50 per cent made up of fructose, added to processed food to compensate for the removal of fats. As a result the average person consumes 150 pounds of sugar each year, that is the equivalent of approximately seventy five one kilogram bags or 33 tablespoons each day. Sugary drinks is just one part of that problem, but we need to start somewhere and that a tax on them is being reconsidered. Is UKIP an English party out of its depth in Wales? The Independent records the latest gaffe by UKIP in their vain attempts to acclimatise themselves to Wales. Unfortunately, the Welsh actually reads "Welcome the Wales", rather than "Welcome to Wales". 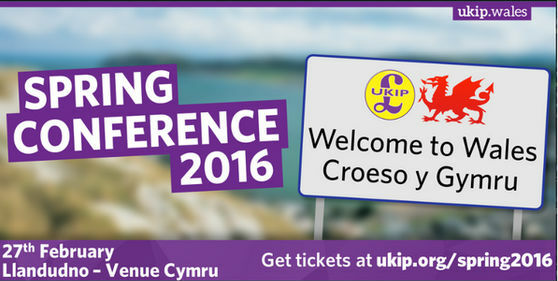 This is not the first time that UKIP has erred when using the Welsh language. As the paper points out, UKIP made translation errors in Welsh when they launched their Wales website in 2013. The party called themselves 'Plaid Annibyniaeth y Du', which means the 'Black Independence party', rather than DU, which stands for Y Deyrnas Unedig (United Kingdom). This is what happens when an English nationalist party seeks to carve out territory outside their usual comfort zone. The Western Mail reports that Welsh Tory MPs have secured a debate in the House of Commons in an attempt to reverse the damaging cuts being made by their Government to Welsh language broadcaster, S4C in defiance of the manifesto commitment on which they fought the General Election. S4C plays a valuable role in safeguarding the Welsh language and in enriching the culture of Wales. But, equally as important, it also brings significant benefits to the Welsh economy. Every £1 invested by S4C in the creative industry more than doubles its value to the economy, with individual productions having a direct impact on the areas in which they are filmed. S4C has supported the growth of a strong and successful independent sector as a publisher-broadcaster. It spends nearly 81 per cent of its commissioning budget on the independent sector, supporting jobs and skills development. S4C supports a wide range of skilled creative industry jobs across Wales. It is hoped that it will be an ever more important player in the Welsh economy, particularly in areas such as Ceredigion and Carmarthen, where S4C is relocating its headquarters. That is why I think it is important that the Welsh Government also continues its support for S4C. It is true that the Welsh Conservative manifesto for the general election made a clear commitment to protect the budget of S4C. The proposals being put forward by the UK Government breaks that promise. However that promise was not in the Conservatives’ UK manifesto. So, when MPs such as Guto Bebb quite rightly stand up in the House of Commons and say to the relevant Secretary of State that S4C needs to be protected because it is a manifesto commitment, he is only partly right. It was not a manifesto that the Secretary of State for Culture, Media and Sport signed up to when he faced voters last year. Welsh Tories failed to seal the deal by getting their UK colleagues to agree to the pledge on S4C. They are now reaping the consequences of that failure. Is Vince Cable right that we should be working with Labour dissidents? With the Labour Party on the verge of civil war and with Labour MPs increasingly unhappy at the direction their new leader is taking them in, it may seem the most natural thing in the world for the Liberal Democrats to seek common cause with Labour refuseniks. Indeed that is precisely what Vince Cable is proposing. In the Independent, the former Business Secretary is reported as saying that the Liberal Democrats and Labour MPs opposed to Jeremy Corbyn’s leadership will have to “work together” to create an “effective opposition” to the Government. Vince is absolutely right of course in saying that Labour under Mr Corbyn is “nowhere near being a challenger for Government” and in warning that the UK risks becoming a “one-party state” under the Conservatives with no convincing opposition. He is also right in highlighting that there is a great deal of cross-party cooperation in Parliament on individual issues and that when it comes to national campaigns such as the European referendum we will be working with members of all parties and none on a common cause. What we should not be doing, in my view, is seeking to formalise or extend these relationships. The reason why we had a surge in membership after the General Election was because people saw the need for a distinctive liberal party. With the present Tory government undermining basic civil liberties and adopting an increasingly reactionary agenda and with Labour moving to the authoritarian left, we need a party extolling basic liberal values more than ever. What is the point of being an effective opposition if we are not being an effective liberal opposition? What we cannot afford to do is to undermine our own rebuilding work by diluting our liberal values or by giving people the impression that we are an adjunct to or a faction of another party. If there was one thing that the coalition showed very clearly, it is that as a party, as a campaigning force and in terms of our support in the country, we were not strong enough to withstand the pressures of being strongly associated with another party. We undermined our own brand and nearly destroyed the Liberal Democrats in the process. That is a lesson we need to learn. And for the time being at least it is in our best interests to continue to rebuild around our own distinctive policies and messages, without the distraction of alliances, formal or otherwise, with other parties or parts thereof. Has television and film taken the place of literature? I confess that I have not read War and Peace. Nor have I ever had any desire to do so. I am though looking forward to the TV adaptation of it tonight and may, as a result search out the novel and read it. I have never read any Harry Potter either. In this case I have had no inclination to search out the books because I fear that they might sour my appreciation of the films. The Telegraph (and other papers) seem to think that it is a big deal that members of the cast of tonight's production of War and Peace have never read the book. They say that this is a sad reflection of the narrow cultural background of today's young actors. It is though also a reflection of the changing nature of our society. We live in a multi-media world in which great works of literature can now be accessed in other ways, whether it is through television, video, on-line streaming, film or even computer games. Our attention span has diminished so that many of us can no longer spend the time, or even bear to commit the time to read books. Fewer people go to the theatre to see serious drama. People want to be entertained and our idea of what is entertainment has changed markedly from when Tolstoy was committing his thoughts to 1,200 closely typed pages. But that is why television adaptations are so important. It reintroduces us to these classics and encourages us to explore them for ourselves. I do not believe that television and film have replaced literature. They have enhanced it and made it relevant again. That can only be a good thing. This newspaper has consistently made the case for staying in. Not from any romantic attachment to European federalism but from the hard-headed calculation that Britain’s prosperity and security are advanced by pooling resources and, sometimes, sovereignty with its European partners. The UK’s global interests depend on the preservation of global rules. In an era when order is too often making way for disorder, the defence of the values that Britain shares with the rest of the EU — the rule of law, democracy and human dignity — is vital to the task. The case for membership, in other words, is grounded in enlightened self-interest: recognition that the UK can best leverage its power and guard against potential weaknesses by being part of the collective endeavour of its own continent. No one should doubt Britain’s innate talents and strengths; nor should they underestimate the challenges of a multipolar world. The EU has abundant flaws. The financial crisis exposed a half-completed economic union, and the tide of arriving refugees has shown the weaknesses of Schengen. The Financial Times backs a Union that promotes a pragmatic, variable geometry of co-operation among groups of states alongside the shared competences embedded in the single market, international trade deals, climate talks and such like. The imperfections, however, must be set against the alternatives. Would a UK outside the EU cut loose completely, sacrificing access to the single market and eschewing shared policies against terrorism, illegal immigration and organised crime? Or would it seek a deal such as that enjoyed by Norway, signing up to the rules while forgoing a voice in the rulemaking? The studied silence of the Euro-sceptics on the options speaks volumes about the weakness of their case for Brexit. The British will always be irritated by Brussels but a confident Britain will understand that its interests lie in working within the EU. All of that is absolutely right, but there are other reasons why we need to remain part of the European Union as well. Our identity as a nation is intricately interwined with our continental neighbours. Despite the best efforts of UKIP and their ilk we have become a multi-cultural, outward-looking society, benefiting not just from economic interaction with other European nations but also cultural and social interaction as well. That is where we stand as a country at the start of the twenty-first century. A 'no' vote would be a step back. It would create the possibility that we might become less tolerant, more introspective and iliberal. This referendum is not just about whether we stay in the European Union or not, the stakes are much higher. Those who want us to leave are seeking to turn back the clock. They want to put up barriers between communities and create an atmosphere of suspicion, intolerance and hate. That sort of poison cannot be allowed to inculcate our society. Hard-headed economic arguments are all very well but they have so far failed to inspire and mobilise people on the staying-in side. The campaign to remain within the EU must address issues of identity and the nature of our society if we are to win it. And that campaign must begin in earnest now. As if social media did not put enough obstacles and hazards in the way of a politician, the return of Politwoops is enough to strike terror into our hearts. As the Independent explains, this on-line tool had previously watched for tweets by politicians and saved them even if they were deleted. But in the summer, Twitter decided that it would be shut down, arguing that it was “terrifying” not to be able to delete tweets. Politwoops came out of a hackathon in 2010, and gradually grew to monitor tweets by politicians in dozens of countries. It was run by the Open State Foundation, which argued that it helped to hold politicians to account and that even deleted tweets were important public statements. I very rarely delete Tweets. If I do it is because I am not happy with the phrasing or I have spelt something incorrectly. I will then repost a corrected Tweet. As an aspiring grammarian therefore, this development is quite scary. For politicians who are less careful about what they post, this is another minefield that they need to navigate. And let's face it, we are all human. It could happen to any of us.